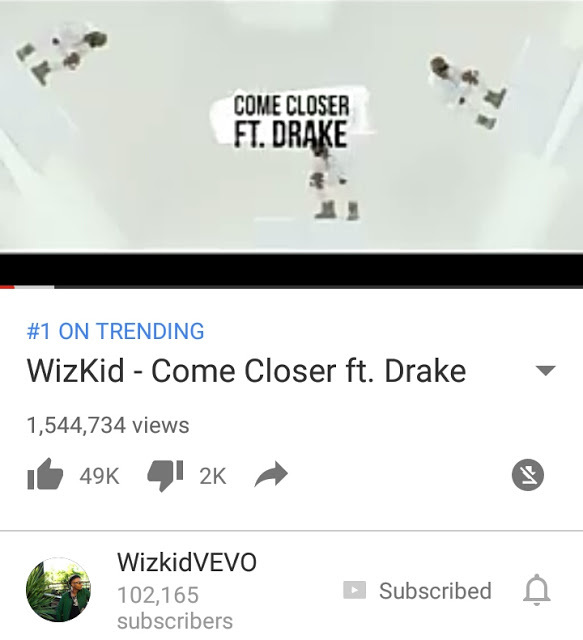 Ayo Balogun,wizkid,has broken another record in Africa. 1.5m views in less than 24 hours of release. in less than 20 hours on YouTube. proven he is a Star Boy regardless. hours on video shared on YouTube. 0 Response to "Wow! Wizkid's 'Come Closer' Video Got A Record 1.5M Views In Less Than 24 Hours"